Stop & Go - a short pause, and the marbles already can be released again to zoom through the marble run. 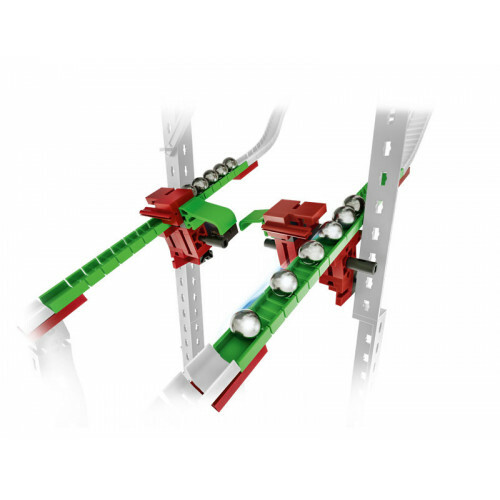 With this expansion set, two stop points can be constructed, with the guidance of the building instructions. 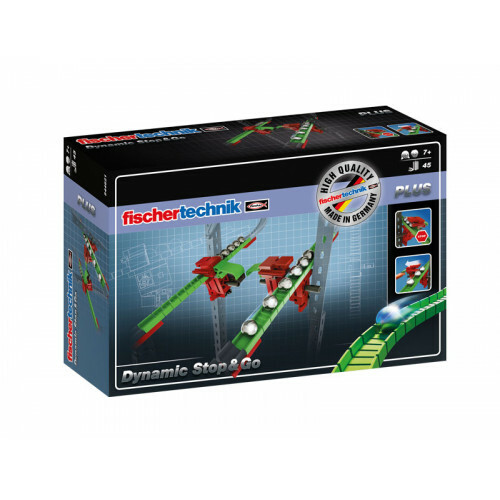 The stop points can be operated manually, and can be creatively integrated into the pre-built fischertechnik marble run. 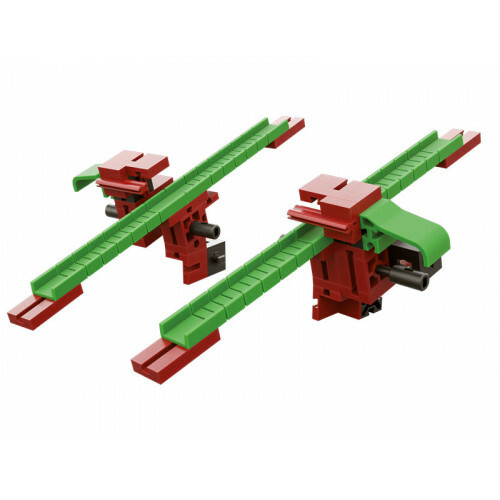 With this set, the existing marble runs can be enhanced and the play value increased.